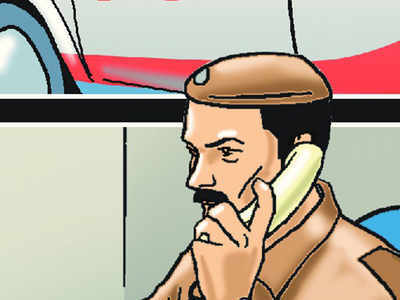 VADODARA: To ensure that the police patrolling teams don’t skip their regular routes, city police commissioner Manoj Sashidhar has planned to introduce an innovative attendance system. The system called e-patrolling will be implemented in every area of the city in coming days. “The new attendance system that will be launched soon will ensure that all the patrolling units visit each and every spot assigned to the patrolling teams. The idea is to improve police presence on the streets and bring down the crime,” Sashidhar said. Policemen on patrolling duty will have to register themselves on the system with their smartphones. Plates with QR codes will be installed at different spots including residential colonies in the city. The cops will have to register there with the help of their mobile phones.